I shared a bit about our plans to possibly build an addition on the side of our house for my grandparents, trying to explain to friends and family over the phone is getting a little tricky. I thought we could post an update about where and what we think it will look like now, and as the process goes on we will share with you how these plans change and why we made other choices etc. 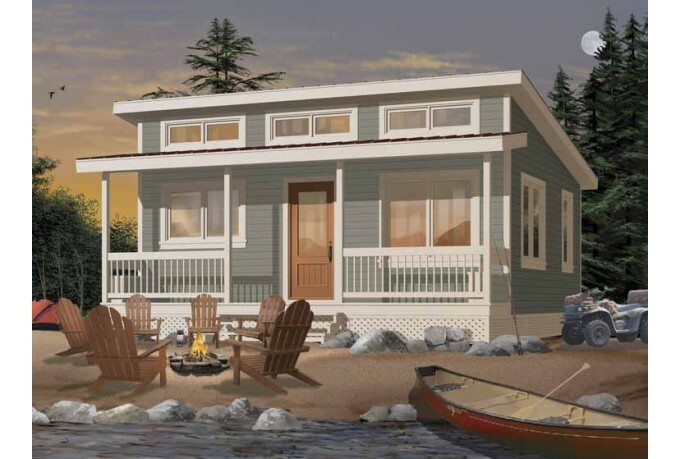 Joel and I searched for a simple small house plan that we thought might work as both a space for my grandparents now and a space that would later work for us, and hopefully fit well into the overall design of our home. We came across this plan, and liked the layout/lean to idea of the roof. We went over our general idea with a local contractor, he had great cost saving thoughts, and information to help us actually plan out how to make the idea into an possible reality. So this is the stage we are at now, Joel has worked up a plan to go over with the contractor then draft the official plan we will submit for a building permit. Hopefully that will happen next week so that the building process can get started. 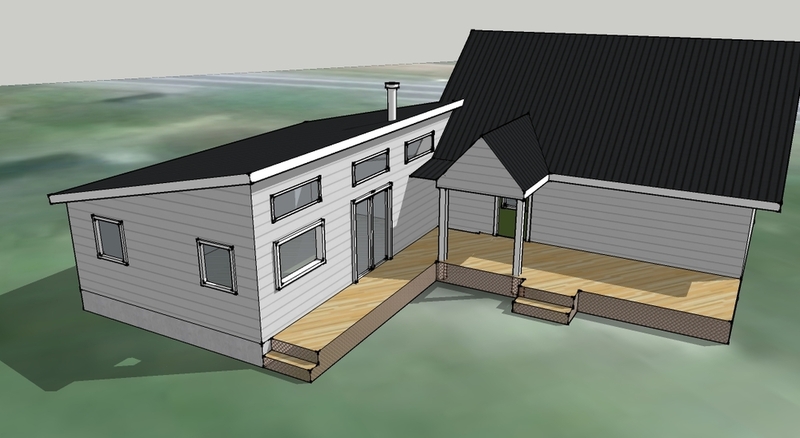 Here is the idea we have right now for the addition which will attach to our house and overlook our backyard. As of right now there will not be an opening into our home and nothing will be shared, a complete separate, one-level apartment for them. View looking over our backyard towards the house. 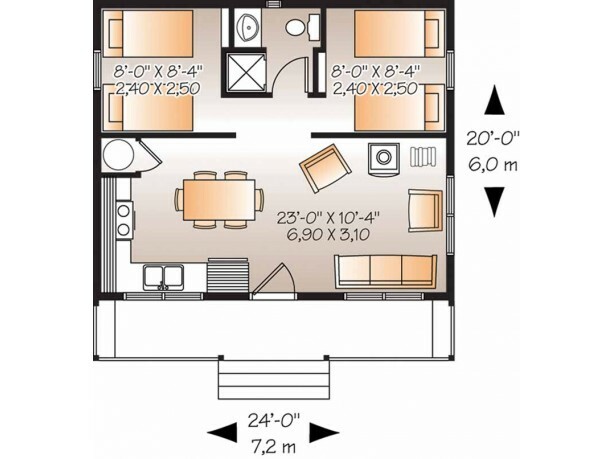 Floor plan slightly larger than the small house above. 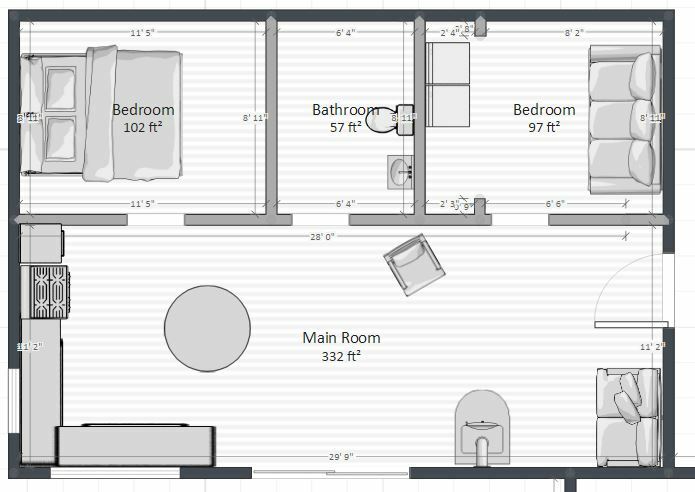 This is 30×20, total of 600 sq ft. 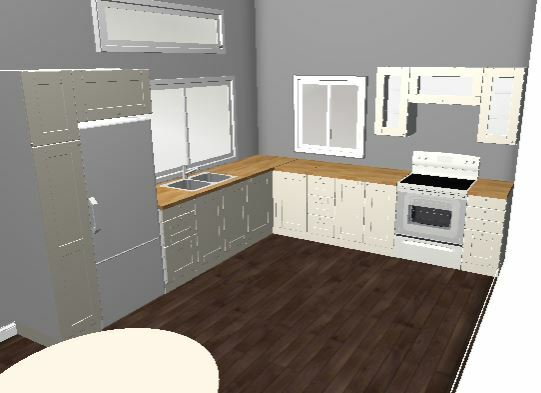 Kitchen plan from the IKEA website, a rough idea of the space. Hopefully this gives you a better idea of what we are thinking and hoping will work for them. This isn’t official, so we still have time to change things here or there, and also make sure it is up to code. Can’t wait to start seeing this take shape and become a home for Grandma and Grandpa.